Ever fancy owning your very own open source robot? 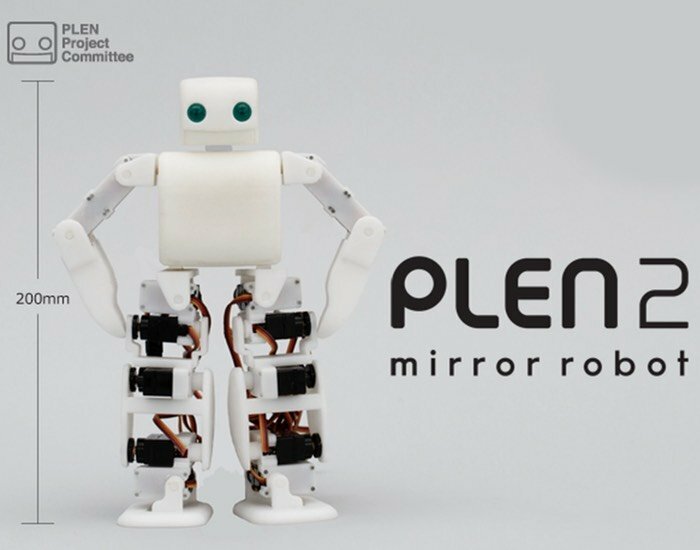 If you have then you may be very interested in a new humanoid robot called PLEN2 that has been created by the PLEN Project Committee. PLEN2 is an open source robot kit that consists of control boards, servomotors and accessories that can put together yourself without any technical knowledge or specialist tools. Watch the video below to learn more about PLEN2. 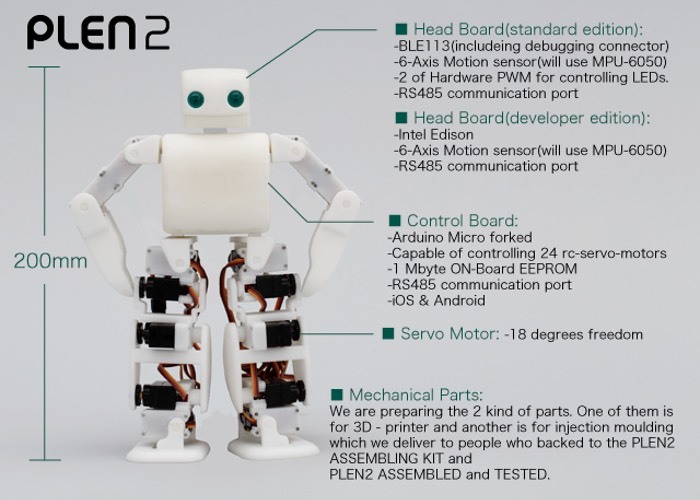 What you need to build the PLEN2 open source robot is just a screwdriver and when fully built PLEN2 is approx.7.87 inches tall and weighs approx.21.16oz with consists of 18 joints that are all highly manoeuvrable. 3D plans for the main components of the robot are provided at open source and free of charge. Using a 3D printer, anyone can customise the data and make their own original parts. The PLEN2 project is currently over on the Kickstarter crowd funding website looking to raise $40,000 in pledges to make the jump from concept to production. “Our aim is to open up the relationship between humans and technology through printable and open-source robot kit, ”PLEN2”. We do not believe that robots should replace people but that they should complement our abilities. So if you think PLEN2 is something you could benefit from, visit the Kickstarter website now to make a pledge and help PLEN2 become a reality via the link below.